Oppo K1 is being unveiled in India on February 6. The launch is also confirmed through a dedicated microsite, by Flipkart, within days of posting a teaser on this. The Oppo K1 equipped with an in-display fingerprint sensor had its launch in China in October last year. It comes with a Qualcomm Snapdragon 660 SoC under the hood, supported with up to 6GB RAM. 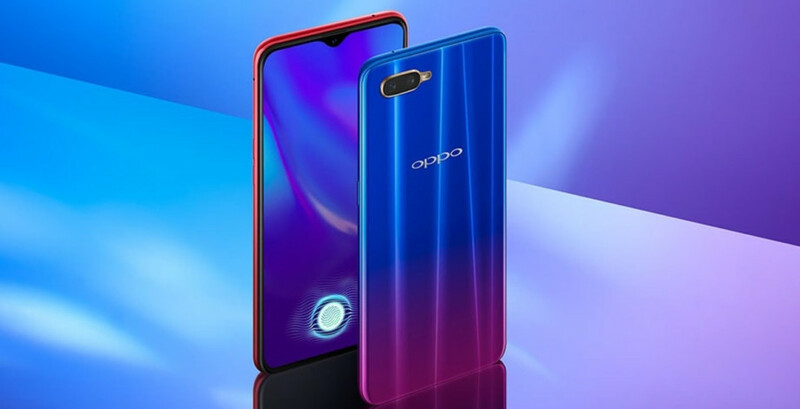 Oppo K1 is also sporting a 25-megapixel selfie camera to make it competent enough to face the challenge against other phones in the below-Rs. 20,000 price segment. The opening price is likely to be Rs. 17,000 for Indian market. 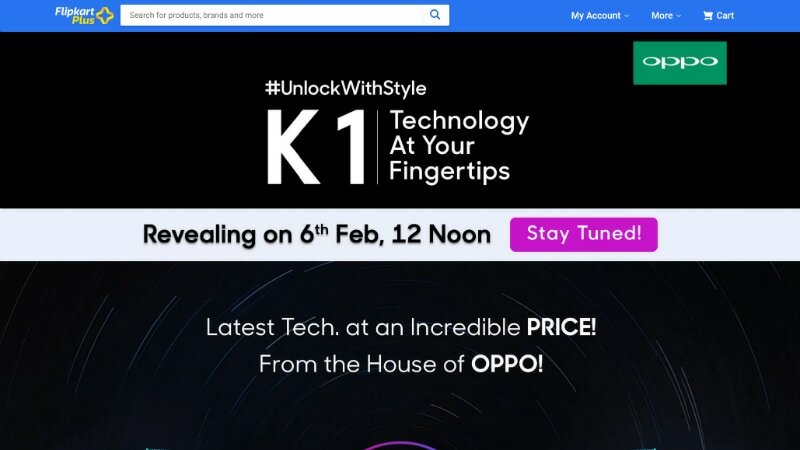 The Flipkart dedicated microsite indicated the formal arrival date in India for Oppo K1 sometime next week. However, it is now confirmed that the unveiling shall take place at 12pm (Noon) IST on February 6. 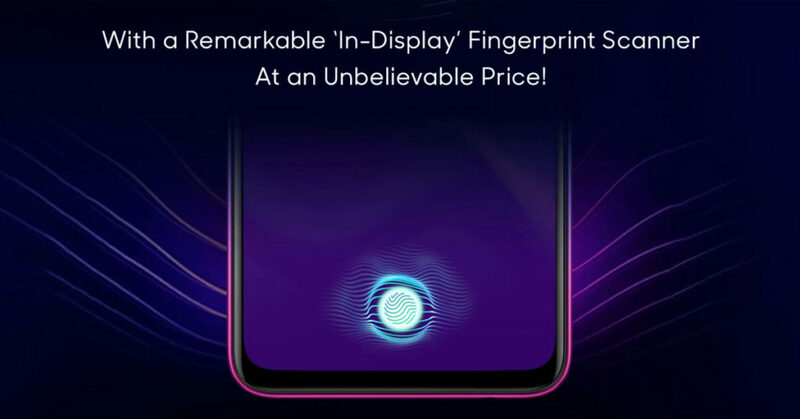 Although earlier the online marketplace indicated the arrival of the Oppo K1 by showcasing its in-display fingerprint sensor technology and thereby emphasising on an “unbelievable price”. Though the launch price for Oppo K1 in India is not yet formally announced, however, it is likely to be at par with the price charged in China, that starts at CNY 1,599 (roughly Rs. 16,900) for the 4GB RAM variant. As against that the higher model with 6GB RAM is priced at CNY 1,799 (roughly Rs. 19,000). In Chine Oppo is offering the K1 in two colour options, that is Mocha Red and Van Gogh Blue. For their next week launch into the Indian market also these two colour options are likely to be available. Incidentally, the Oppo K1 is going to be available in the country, for sale, though Flipkart soon after its launch. The Oppo K1 dual-SIM (Nano) operates Android 8.1 Oreo on top of ColorOS 5.2. Sporting a 6.4-inch (1080×2340 pixels) full-HD and display with 19.5:9 aspect ratio and 91 percent screen-to-body ratio. Also, the smartphone comes with an octa-core Qualcomm Snapdragon 660 processor and is clocked up to 2.2GHz together with 4GB RAM and 6GB RAM options. The optics offered in the Oppo K1 are a dual camera setup at the back with a 16-megapixel primary sensor as also a 2-megapixel secondary sensor alongwith a LED flash. The selfies and video chat, are served by a 25-megapixel camera sensor at the front. The Oppo K1 has an inbuilt storage of 64GB which is expandable via microSD card (up to 256GB). Connectivity options are 4G VoLTE, Wi-Fi i 802.11 a/b/g/n/ac, Bluetooth 5.0, GPS/ A-GPS, and GLONASS. 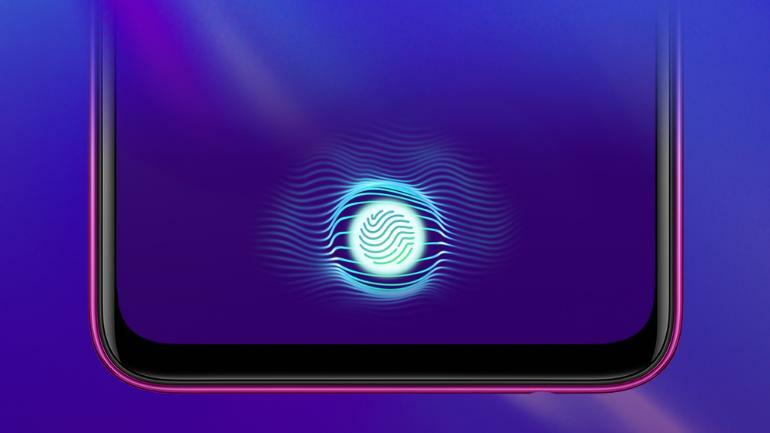 The Oppo K1’s USP undoubtedly its in-display fingerprint sensor. However, there are additional features like 3D glass back and a 3,600mAh battery.